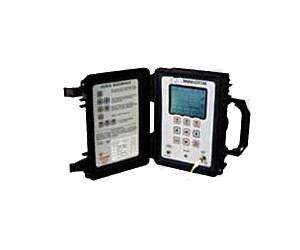 The FiberPatch Mini-OTDR is a low-cost, fully functional, fibre optic OTDR in a hand-held rugged enclosure. This new unit is super fast and simple to operate and is perfect for field testing and maintenance of new and existing network installations. The Mini-OTDR provides a graphic representation of loss verses distance, for fibre optic links up to 32 Km. The display layout also provides important user parameters such as pulse width and index of refraction. Cursor keys and "soft keys", allowing the user to observe the entire link loss or zoom in on defects, compliment the one button SCAN operation. Other useful features include internal data storage for up to 200 traces and a data output port to connect to a PC.